Quality attention and follow-through on order fulfillment continue with product warehousing and shipping. We have quality controlled warehousing, coordinated drop shipping, and years of experience coordinating with carriers and shipping docks. Accurate maintains strong relationships with LTL and truckload carriers to ensure that any size job reaches its destination safely and on time. We know that manufacturers must receive components as required to keep their production lines running and that POP design houses require retail displays to arrive on-time without incident. 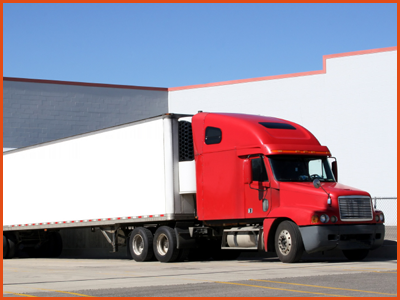 We have decades of experience storing and shipping products all across North America. Our central location is an advantage to those companies that have projects in the Midwest or required products to ship to locations throughout the U.S. and Canada. 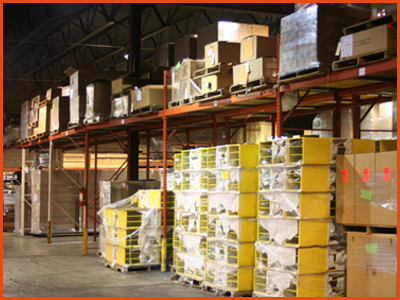 We have a large warehouse that is used by many of our customers. Some take advantage of the warehouse in order to keep a reserve supply of components to draw upon as needed. Other companies utilize our warehouse as their stocking and fulfillment center, never touching the products that ship direct to their customers.